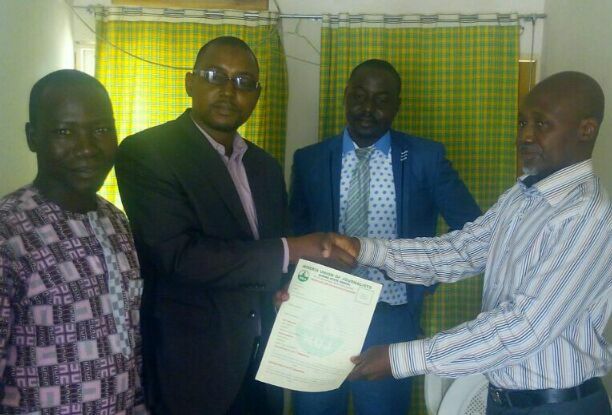 The Executive Members of Nigeria Union of Journalists Radio Nigeria Kaduna Chapel have Purchased a nomination form for it’s member comrade Adamu Yusuf. The move followed a vacancy that exists for a substantive Chairman for the state council since September last year. We, of the Radio Nigeria Kaduna deemed it fit to purchased this form for one of our own comrade Adamu Yusuf because of his track record while he was the Chairman of our Chapel a few years ago. He was able to bring back the Chapel to life when he took over as chairman in 2013 and tremendous achievements were realized during his time, before that time the Chapel was in comatose. We believe with his style of leadership, charisma and display of professionalism, comrade Adamu Yusuf would bring back unity, restore discipline and sanity to the Kaduna Council of the NUJ. We therefore, solicits the support of all members of the Nigeria Union of Journalists in Kaduna State to queue behind us during the campaign and on the election day as we select Comrade Adamu Yusuf towards uplifting the NUJ in Kaduna State.